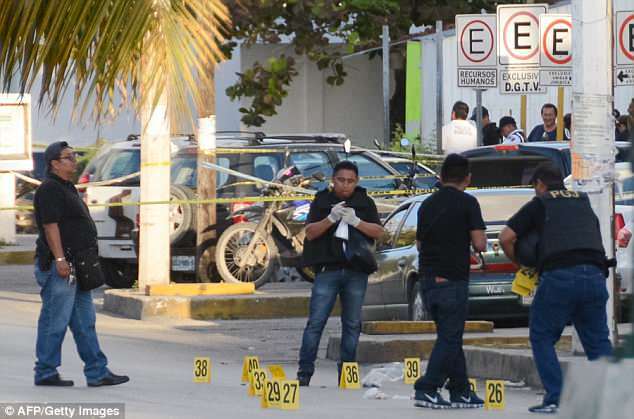 Fourteen people were murdered in just 36 hours in the Mexican city of Cancun last week. 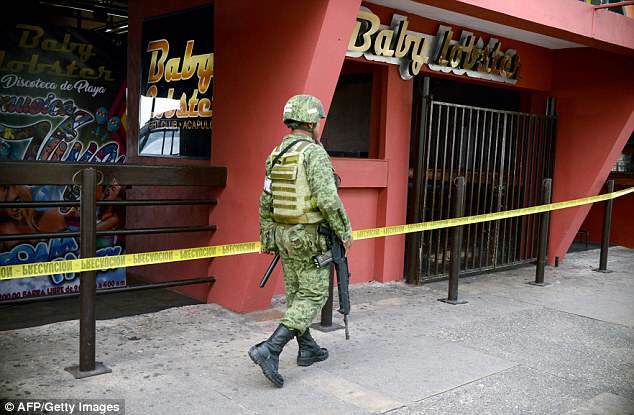 All are considered to have been cartel-related but they were dangerously close to popular tourist hotspots. On April 4 alone, nine people were killed and one person was shot. Five of them were killed in a home where neighbors said the occupants were drug dealers. Another three were killed standing outside a tamale stand next to a clothing store. 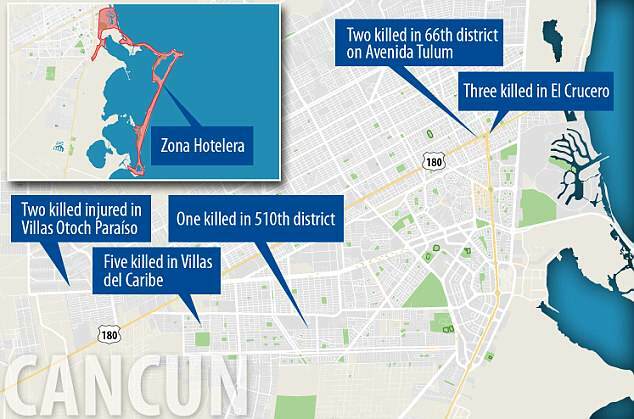 On Thursday, April 5, another five were murdered in separate incidents in the city, Noticaribe reports. The spate of violence is the worst in the city since 2004 and occurred as thousands of tourists partied in the town’s notorious hotels, bars, and clubs for Spring Break. According to the office of Civil Protection, 112,000 people flocked to Cancun for the holiday. On April 11, in a separate incident, a woman’s body was found in the street with a ‘message’ left on it. She had been shot several times in the face. Since the start of the year, more than 100 people have been shot in the party town. The closest murders last week were around eight miles from the hotel zone which tourists flock to. Earlier this year, locals told SBS the extent of the problem across the country. ‘It’s not nice to walk in the street and find someone’s head. It’s very sad to know that your friends have been executed. ‘Medics, taxi drivers, doctors, business people – no social class is exempt,’ Laura Cabellero, a businesswoman from Acapulco, said. Acapulco is on the other side of the country where gang violence was mostly contained. 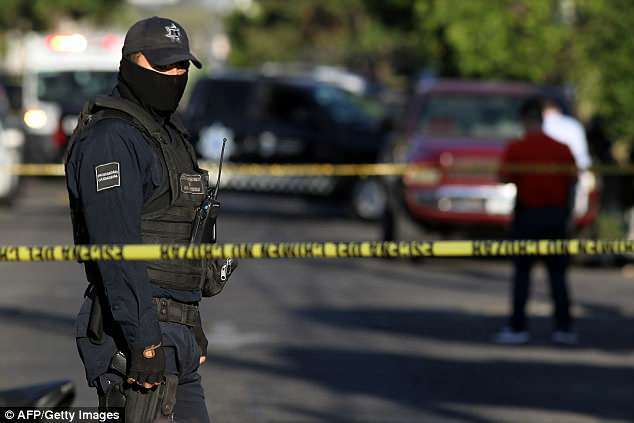 In the last year, the number of murders in Cancun have doubled. It is enough to prompt warnings from the British foreign office about traveling to the popular holiday destination. In March, the US State Department issued a warning about the resort of Playa Del Carmen which sits in between Cancun and the celebrity-magnet resort Tulum. The warning was directed towards ferries between Playa Del Carmen and the snorkeling-hub Cozumel after a boat exploded mid-journey. Authorities later found explosives on another boat. It is not clear if they were planted. The advisory was lifted afterward and there are no warnings in place regarding Cancun or the recent gun violence.